From the A10: Leave the A10 at the A414, Harlow bound. Once in Harlow you take the 2nd left (1st left is into to train station), pass the Toby Carvery and go straight over the next two roundabouts. You can’t miss us on your right - directly behind B&Q. From the M11: Come off the M11 into Harlow, going straight through the first roundabout and then over the next 3 roundabouts. At the 4th roundabout there is a Ford Gates garage on the left. Take first left passing Tesco’s which will be on your left, through the lights over the next roundabout and through the next set of traffic lights. You will then see us on the left – turn left immediately after our building which is before the next roundabout and opposite the cinema. Opened in 2009, Lok’nStore Harlow is a purpose built facility with over 700 individual units for householders and businesses to rent. Storage spaces available range from 16 sq ft lockers up to massive 500 sq ft units and many sizes in-between including large spaces for pallet and warehouse storage. It also has covered loading bays, large goods lifts and provides free tea and coffee to customers.This store has over 70,000 sq ft of storage space, spread over 5 floors making it one of the largest in the company. 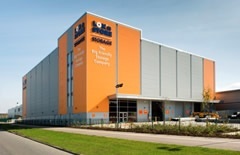 This facility is conveniently located for customers from: Bishops Stortford, Broad Oak, Broxborne, Church Langley, Eastwick, Elsenham, Epping, Essex, Great Hadham, Gilston, Harlow Bishops, Hatfield, Hatfield Heath, Hertford, Hodesdon, High Wych, Little Hadham, Little Hallingbury, Much Hadham, Nazeing, North Weald, Old Harlow, Ongar, Roydon, Sawbridgeworth, Sheering, Spell Brook, Stansted, Stansted Abbotts, Stansted Mountfitchet and Ware. What does storage at Lok'nStore Harlow cost? Self storage prices at Lok’nStore in Harlow are the lowest in the area. 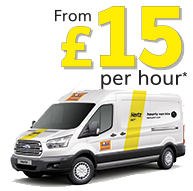 We know because we check our competitors regularly, and then set our prices below theirs – we absolutely guarantee you the lowest costs in the area. Prices for our storage spaces vary depending on the size of the unit you need, your choice of payment terms, and how long you want, or need to store with us – which can be from 1 day to forever. For an instant quote, please click on the green ‘Get a price’ button, or give the store a call on the phone number displayed. All Lok’nStore prices include VAT.